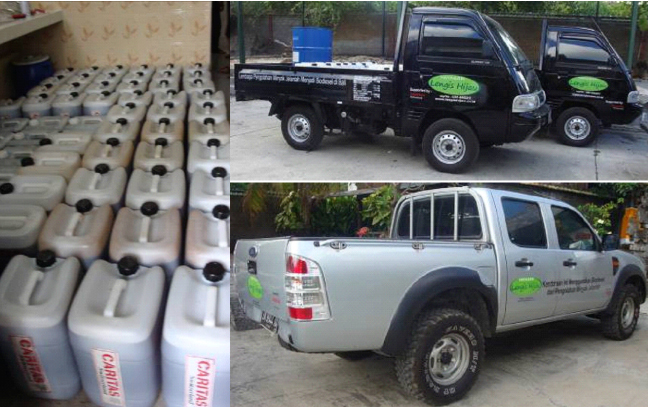 Caritas Switzerland/Lengis Hijau collects the used cooking oil according to the hotels and restaurants requirements. Jerrycans with 20 L capacity are used for the oil collection. Empty and clean jerry cans are provided to hotels and restaurants while the full jerry cans are picked. 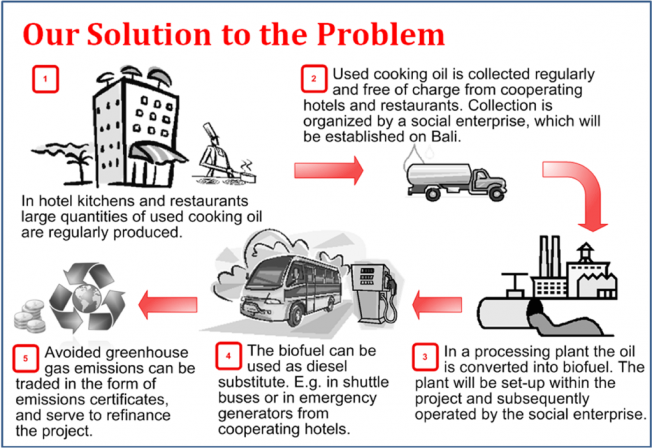 For the conversion of used cooking into biodiesel the biodiesel processor Fuelmatic 3 from Green Fuels, UK is used (please refer to the picture below and the technical scheme attached in appendix 2) . Biodiesel produced within this system will be sold to hotels and restaurants for a price rate below industrial diesel fuel price. For selling the biodiesel separate agreements will be arranged with interested customers. (please refer to appendix 4).